ANNABEL FERNANDES — How did you first get interested in photography? DAISUKE YOKOTA — In high school, I was always sleeping in class. As a natural consequence, my grades became really low. So, when other people were choosing to go to university, I had no choice but to go down the line of technical work. My father liked photography, and I also liked doing it, so it was a natural and easy choice for me. ANNABEL FERNANDES — Can you tell me about your process? 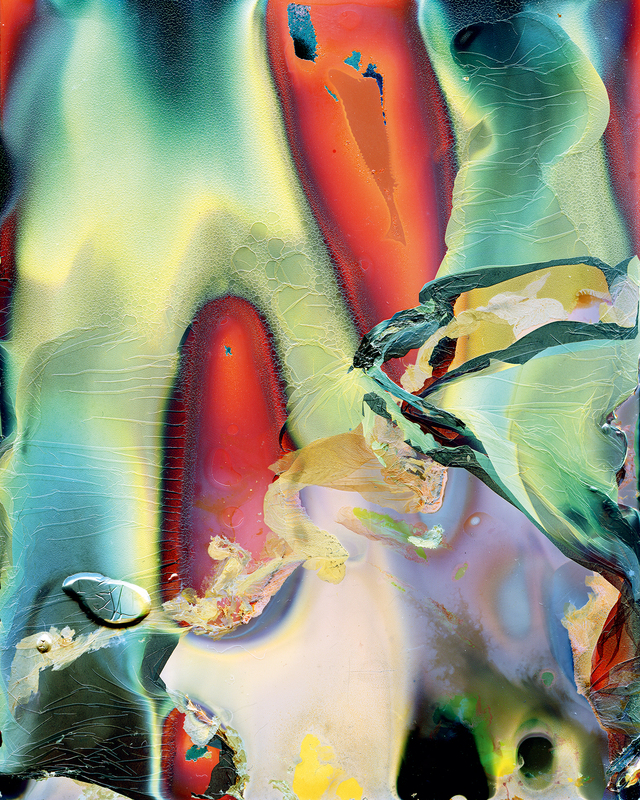 DAISUKE YOKOTA — First, I take a picture with my digital compact camera. Then I re-photograph the same image, which was printed out from an inkjet / laser printer, with a film camera. When I develop that film, I use boiling water. That makes all the emulsions melt, silvers rust, and new colors emerge. Those damaged films can no longer be developed in the darkroom, so I scan them with a scanner, like you do with your documents. And that scanned image will be overlapped on the original picture taken by the digital camera in the first step. This process is repeated a number of times to create the final images. ANNABEL FERNANDES — How long do you spend developing one photo? Do you have a vision of what you want to achieve? DAISUKE YOKOTA — I never work on just one single image. I make roughly 150 pictures at a time. For one series, I do my process at least four or five times, which makes a repetition of nearly 1,000. Only then do I make a selection. I normally have a vague vision of what I am trying to make, but I never follow that figure. I think it is more important to be open to unexpected happenings that arise during the process. ANNABEL FERNANDES — What kind of camera and materials do you use? 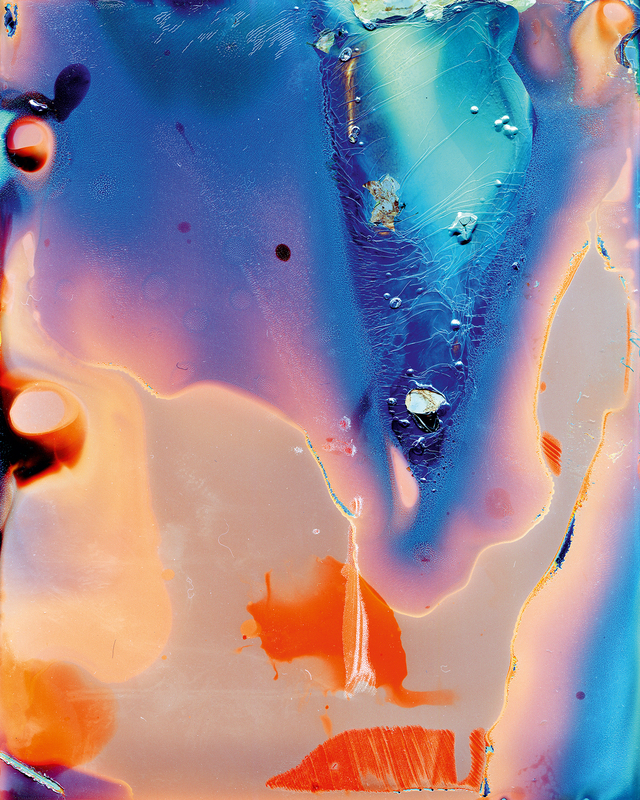 DAISUKE YOKOTA — For snapshots, I use the Canon G9. For re-photographing the digital prints, I use a Pentax 645N SLR film camera. I buy my film on the Internet. I try to be as varied as possible when collecting film, from color and black-and-white to an assortment of years and manufacturers. ANNABEL FERNANDES — How have advances in technology affected your practice? Are you constantly seeking new ways to manipulate your images? remind myself that it is a human who uses the technology. Without the development of my own idea, the works cannot be improved, and they will be recognized just as a visual trend of the time. I try to use equipment that is natural for me to interact with in my everyday life. ANNABEL FERNANDES — Are your photographs staged, or do you take only snapshots? DAISUKE YOKOTA — Although I don’t make any special rule about shooting, I prefer snapshots. I never move things. I move around the subject. ANNABEL FERNANDES — You use modified versions of the same image in different projects — what is your purpose here? 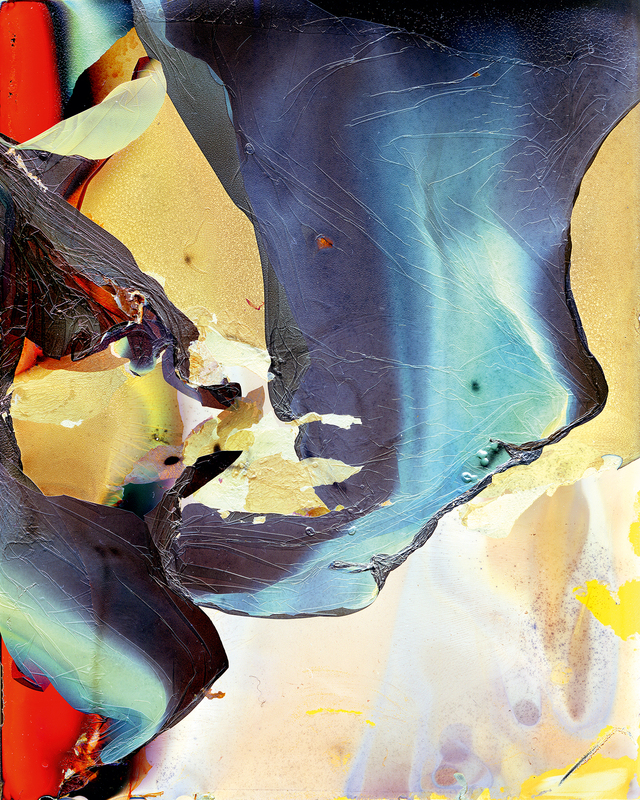 DAISUKE YOKOTA — They look similar, but I never use the same image. I update the image every time using Photoshop, re-photography, and development. What was captured is never a definite truth. The past changes its shape and can exist in multiple timelines, the way one’s own memory can change the perception of oneself. I think I would like to express this in my work. ANNABEL FERNANDES — Your work has become increasingly less figurative and more abstract. Could you tell us about your fascinating series Color Photographs? Color Photographs, I focused on this material side. ANNABEL FERNANDES — How did you become interested in the materiality of film? 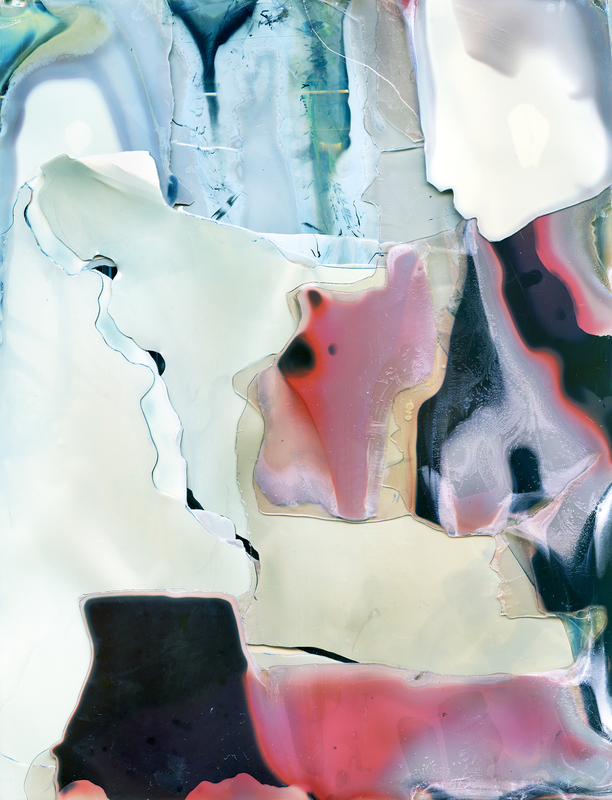 DAISUKE YOKOTA — I thought of how to make photography obtain “time,” just like music or a movie. A photo book can show a sequence, but is it possible for one single picture to show the accumulation of time? For example, if you take a picture, there is a trace captured on the image. Based on this information, we connect the accumulated memories inside the head to the photographer. When we think of this as “a single time,” we can add another “time” to the image, using postproduction. This idea was influenced by the use of effects in music. There is a raw sound, and the spatial echo of the sound will be transformed when using the effects afterward. Just like this, I tried to re-control the time on a photographic paper, by tuning up the particles. That is also why I decided to use film to re-photograph the image, so I could work on the particles in the processing stage. ANNABEL FERNANDES — You have said that you started producing black-and-white pictures in order to “prevent the audience from applying their thoughts based on color, having an emotional impression.” Color and lust are both expressed using the same character in Japanese. Do you feel those two connect closely in Color Photographs? DAISUKE YOKOTA — The relationship between color and lust is indeed very interesting. Black-and-white photography tends to attract more people. I assume this is because it has a stronger effect on memory and past stories. Color works in a more direct way. When compared with black-and-white, color gives pleasure, and, yes, it stimulates lust. ANNABEL FERNANDES — Your photos can be compared to the visionary exploration of light and color by the filmmaker Stan Brakhage, who was among the first to physically alter the filmstrip. He wanted the viewer to experience variety. What do you want the viewer to experience in your photographs? 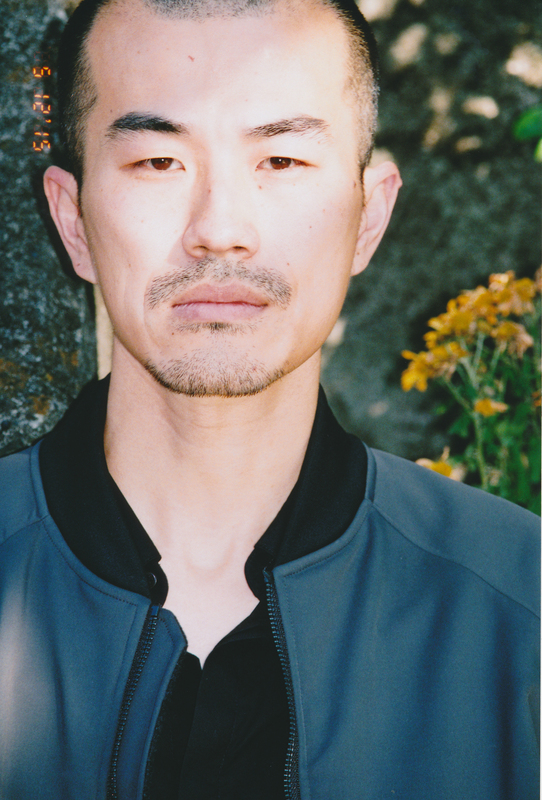 DAISUKE YOKOTA — I don’t have any particular requests for the audience, but I do want the works to have more and more textures, so that the audience can connect with what they are looking at in completely different ways. Photography is just paper, and you cannot touch it when it’s framed. But it needs to be fetishistic so that viewers can think of other textures in their minds. ANNABEL FERNANDES — Your work seems deeply personal. Can you tell us about your intellectual and emotional journey when working on your photographs? make work to express my feelings; it’s more like burning them.